These flexible bases have been designed to support antennas for tanks, military vehicles and civilians. These flexible bases are specially designed to adapt perfectly to the structure of the machine. These bases are made of special materials selected for their strength and durability. Flexible goosenecks are ideal for supporting radiocommunication antennas allowing them to remain in a given position. These flexible goosenecks are mainly used on portable radiocommunication stations that serve as relay information. These flexible, adjustable bases are ideal for supporting short antennas or antennas for portable racks manufactured by ABEILLON. The specific design of the flexible bases for vehicles and flexible bases orientable allows them to withstand the various climatic, chemical or mechanical aggressions (tests carried out according to standard MIL military specifications or customer specifications defense). 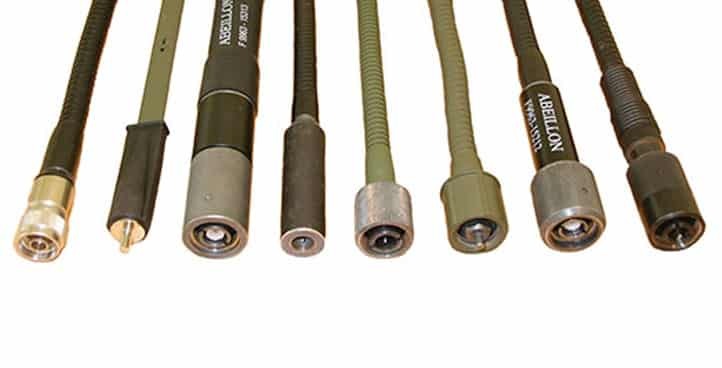 These various models of flexible bases, orientable or not, can be equipped at each of their specific connection ends according to the customer’s request (metric thread, Anglo-Saxon, BNC type connector, TNC, N, …). All orientable flexible goosenecks manufactured by Abeillon are able to support the different models of UHF and VHF antennas designed by our company. To learn more about the radio antennas for the army, do not hesitate to consult our page dedicated to antennas for the army. Most of our solutions, including flexible antenna supports, or other devices, operating in frequency ranges between 500 MHz and 8000 MHz are directly accessible via our FLEXI UHF catalog. To get the FLEXI UHF catalog, please contact us. 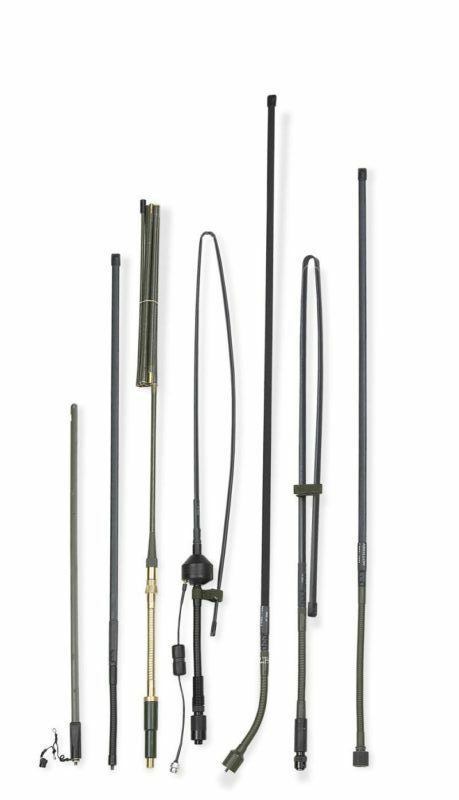 ABEILLON manufactures short antennas and ribbons for portable radio sets in the UHF and VHF frequency ranges mainly for military applications. These antennas can be mounted on orientable flexible bases also manufactured by ABEILLON. These antennas are distributed in France and abroad to the manufacturers of radiocommunication sets or directly to end-users. The design of the ribbon antenna makes it possible, on the one hand, to be able to bend or roll it whatever the direction without damaging it, and on the other hand, its specific coating enables it to withstand the various climatic, chemical or mechanical (tests carried out according to MIL standard military specifications or defence client specifications). For the sake of performance and quality, all our antennas are designed and manufactured in our workshops in France and are the object of a constant search for improvement.